Are German Shepherd females fertile on their first heat? Hi, My german shepherd has just gone on heat. We have been locking her up but the dog next door has got in. We are unsure what to do and we do not want her to have any puppies until she is two years old. I have read about the injection but am not sure about it. 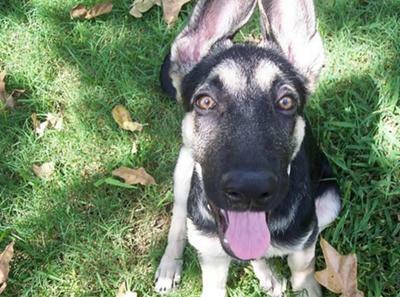 Total German Shepherd: Yes, yes, yes, yes! While I'm no Veterinarian I can tell you that you may as well assume your female German Shepherd is fertile each time she comes into heat unless your Vet tells you otherwise. That being said, there is more to the whole process than just sticking 2 dogs in a room together and having a litter of puppies 62 or so days later. Timing is crucial and there are several stages to the heat cycle and generally speaking your dog cannot get pregnant in every stage - and she will not allow the male to mount her but only during certain times during the heat cycle. Here is more info about the heat cycle of dogs. But if you are concerned about whether or not she is pregnant I would advise you to see your Vet and have her checked and then discuss your options at that time depending on the diagnosis. Good luck.